There is something within the psyche of human beings, which longs for stories of heroes, the oldest recorded story that we have, Gilgamesh, dates back to 2000 BC. Although Gilgamesh as a historical figure dates from around 2700 BC. From culture to culture the names and places change, but the underlying themes remain unnervingly similar. Often the eponymous hero will come from humble beginnings only going through the metamorphosis of self discovery when events around them conspire to create the necessary level of peril for the hero to discard his humble chrysalis and burst forth into his new life. This monomyth was best examined in Joseph Campbell's seminal work The Hero with a Thousand Faces, itself based mostly on Jung's work on unconscious cultural archetypes, where he makes a compelling argument for the existence of the monomyth. Though his postulations and conclusions are not without its critics it still remains an important work. The idea has formed the basis of some of the best-known modern stories, the most famous being the original Star Wars trilogy where George Lucas plundered Campbell for his basic structure. So, it is little wonder that new shows will continue to appear based around the theme of the reluctant hero. 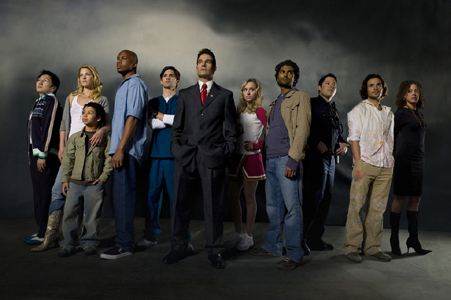 Coming to the UK Sci Fi channel in the first quarter of this year (2007) is the new hot show, from NBC in the States, Heroes (created by Tim Kring who had previously created Crossing Jordan and Strange World) which if you had to put it in a box, is a combination of X-Men and Lost. After watching the first four shows that description really doesn't do justice to the show. Given that the series is using such a well-worn archetype, the interest really is in the execution of the show rather than the premise. This is helped greatly with the inclusion of Jeph Loeb as writer and co-executive producer. As well as being a greatly respected comic book writer he has also worked as a writer and supervising producer for Lost and Smallville. 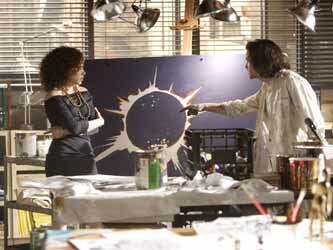 Heroes has a comicbook sensibility in its structure, even to the point of having each episode having a chapter number and Issac's paintings of the future fitting together like panels in a comic book to tell a story. The premise of the show is fairly straightforward. Across the world, but mostly in the USA - one would presume for budgetary reasons, people are starting to realise that they have extraordinary powers. With no Charles Xavier character to draw this large ensemble cast together, their first reactions range from delighted bemusement to horror. What do you do when you wake up one morning to discover that you can fly or that you can bend space and time, or worse still you are plagued by visions of the impending apocalypse? With such a large ensemble cast the show skips from one story to another giving just as much as you need to keep you interested without loosing the various threads. It also uses that old Babylon 5 trick of showing you what will happen but without telling you how. The artist, Isaac, who can see visions of the future is shown, quite graphically dead, with the top of his skull removed as early as the second episode, though you quickly realise that Hiro has jumped five weeks into the future, just in time to see the end of the world, an end which the heroes must try and prevent. It's a ploy that I have always found both annoying and intriguing but let's face it, it kept me watching Babylon 5 for five years and, if the show keeps up the quality of the initial episodes, will, no doubt, have me glued to this show. This device is also used in Isaac's paintings, which effectively tells the whole story, though at the start of the show they look more like random images. Apart from their personal internal coping mechanisms, culture plays a large part. 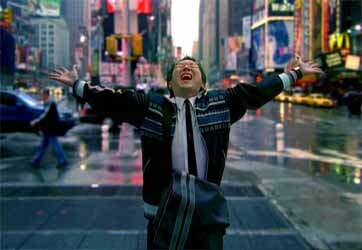 The show is set in our reality, in the here and now; therefore the idea of superheroes is not unknown to any of the characters, Masi Oka (previously seen in Scrubs) who plays Hiro Nakamura is absolutely delighted to discover that he can bend space and time, meaning that he can stop time and teleport from place to place. The show's, not unreasonable, explanation is that as a repressed Japanese office worker and obvious Otaku, Hiro's immersion in manga, anime and Playstation games gives him the psychological makeup of someone who would die to have this sort of stuff happens to him. Of course, in the real world, things are not as simple as they are in comics and good old Newton pops his head up. Unavoidable consequences are often the equal and opposite reaction. The first couple of episodes did give me some concern as Hiro and his friend are presented as very personable and a little quirky; Hiro especially comes over like a kid who has been given the keys to the candy store, whilst this level of naiveté makes the character very endearing, it also runs the risk of portraying his character as an Asian stereotype. Thankfully in future episodes Hiro returns from the future all testosteroned up, carrying a big sword, presenting a much more battle hardened persona. 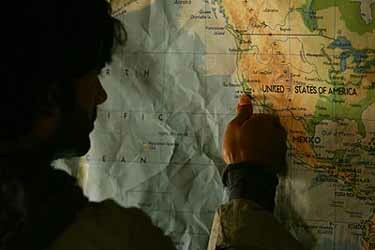 The linchpin character, though not possibly the most important to the final outcome of the show, is Sendhi Ramamurthy [pictured right] who plays Mohinder, a genetics professor who comes to America in search of his father's murderers and the extraordinary people that his father had claimed to have found. 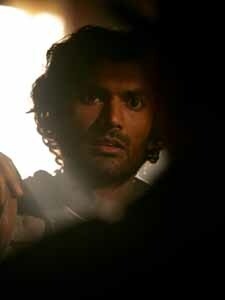 Ramamurthy is an accomplished actor of both stage and screen, having previously appeared as a guest in Numb3rs and Grey's Anatomy as well as staring in the West End with The Royal Shakespeare Company's production of A Servant to Two Masters and appeared on Broadway in Tom Stoppard's Indian Ink. Ramamurthy brings a quiet intensity to his role of the son of a brilliant geneticist, who not only believes that beings of extraordinary powers are being born around the world, but that he could also find them by tracking their genome, a contention that leads to his murder. The funniest and grimmest introduction to a character that the show has is Hayden Panettiere's Claire Bennet, a high school cheerleader who, by way of introduction, appears to be throwing herself off higher and higher structures, trying to work out not only why she doesn't die, but how come all her injuries repair themselves. Hayden has appeared in Malcolm in the Middle and Ally McBeal, though to a sad fanboy like me the best one has to be providing the voice for Kairi in Square Enix's game Kingdom Hearts. Adrian Pasdar and Milo Ventimiglai play the Petrelli brothers. Nathan (Pasdar) is running for office so is less than enthusiastic that his brother Peter (Ventimiglai) wants to find out why his brother can fly and why he can only fly sometimes. Pasda has had a long and successful career since first appearing in Top Gun and has appeared in numerous film and television roles. Milo can be seen in the upcoming Rocky movie playing Rocky's son. To complicate an already complex scenario, Peter is also sleeping with Simone Deveaux (Tawney Cypress from Third Watch), the girlfriend of Isaac Mendez. Santiago Cabrera, who has appeared in Spooks, Judge John Deed and Empire, plays Mendez, the artist who can paint the future and who tragically ends up with his skull sawn off. To complete the massive and very talented line up we have Ali Larter (Varsity Blues and the excellent Final Destination) who plays Niki Sanders, a woman with an alter ego who thinks nothing of disembowelling bad guys, and Noah Gray-Cabey who plays her son, Micah. Last, and certainly not least, is Greg Grunberg (Alias) who plays the telepathic cop Matt Parkman. All these lives are inexorably intertwined in the coming apocalypse, though whether for good or evil only time will tell. On the side of the bad guys is a character, which we never see in the earlier episodes, called Sylar who appears to be killing others with special abilities. Though I wouldn't put good money on this, as the show has a way of challenging your expectations. His activities bring him to the attention of FBI agent Hanson. If not being able to harm yourself wasn't enough for a high school cheerleader, how about having a father that seems to be kidnapping and experimenting on those with powers? You just know that it's going to be a difficult daughter and father conversation when Claire Bennet discovers what her father does for a job. If the great acting and engrossing story doesn't keep you watching, then the almost cinematic level of special effects should keep your attention rooted to the screen. I have no idea how much money they spent on each episode, but as the old slogan goes, you'll really believe that a man can fly. That said, some of the best sequences involve Hiro, when he suspends time, watching the actor walk in and around frozen explosions or pluck objects suspended in mid air is frankly quite breathtaking for a television show. One of the things that the show did make me wonder was just how limited will the characters powers turn out to be. Sure they have spectacular powers, but each only has one. In comic books heroes can fly but they usually have more than one power. It does give the show its underlying reason why they have to band together to save the world, being invulnerable is great but not when you have ordinary strength, or that you can fly but you can also get shot. Overall, if the writers are able to keep up the high level of storytelling, then the show will quickly become the next 'must see' television, its got me hooked. Heroes will begin broadcasting on the Sci-Fi Channel from February 2007.